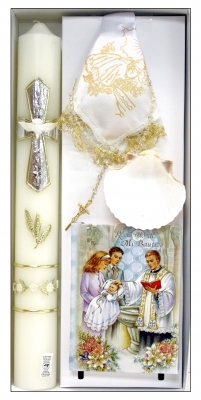 Silver Cross Design in Spanish Only. 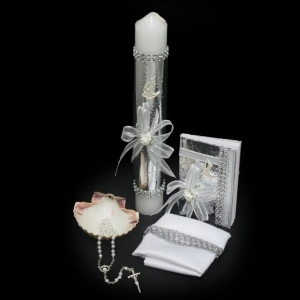 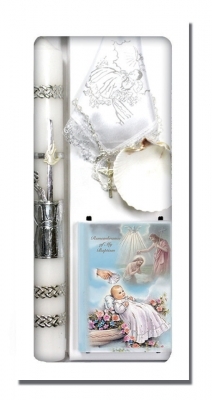 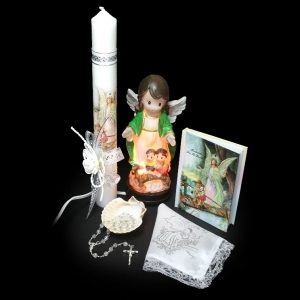 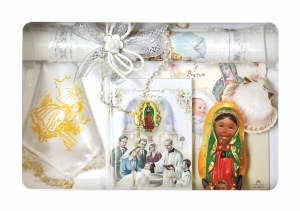 Features candle with matching booklet, rosary, baptism shell, and Handkerchief. 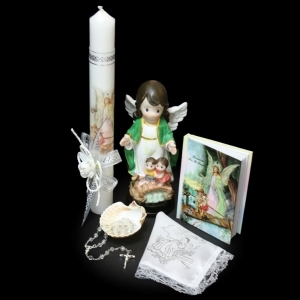 in gft box.